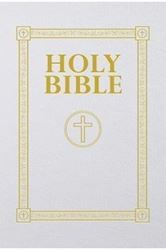 This set features Traditions Edition of the Marian Children's Mass Book with a gold stamped, padded cover, full color pictures, and gold edges. 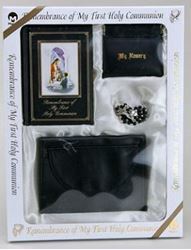 A black bead rosary is in a squeeze top rosary case. 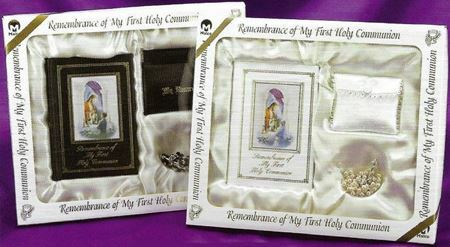 It also includes a laminated scapular and gold Communion pin. First Communion Candle - Boy 12 in.